"Quality and Service without Compromise"
Proprietor of German Italian Service Centre (GISC) Phill Hodges, CAE AMIMI, has been specialising in German and Italian vehicle servicing, repairs and diagnostics for over 27 years. GISC was established in 2007. Phill and the team are now operating from the newly built larger premises located next door to the original premises on Attleborough Industrial Estate , Nuneaton. Phill and the team utilise their vast knowledge base , skills and experience to offer a specialist service for all models of German and Italian vehicles. Phill's hands on approach and his commitment and passion for 'quality and service without compromise' ensures that GISC are able to offer an affordable and dependable alternative to main dealer servicing and pricing schedules. With the latest diagnostic equipment to hand , you can be confident that your vehicle is in safe and competent hands under the care of Phill . 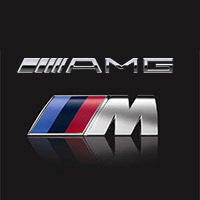 His experience and commitment to keeping fully up to date with ever changing technology, has earned the Service Centre a loyal customer base of enthusiasts for M Power, AMG and Porsche, which stretches across the Midlands Region. An aggressive pricing strategy ensures that all of our customers benefit from our fixed price servicing. GISC promote a transparent pricing policy . Written quotes are available upon request . Any additional work will only be undertaken once the work and price has been fully discussed and agreed by both parties. All invoices are fully itemised for parts and labour, so that you can see exactly where your money is being spent ! All the work at GISC is carried out by qualified technicians and in accordance with manufacturers service schedules . By adhering to these specific schedules, you can be confident that your vehicle is still under the manufacturers warranty and be rest assured that the vehicles full warranty rights are being maintained. 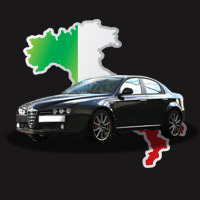 Specialists Technicians Servicing German & Italian Vehicles across the Midlands. German Italian Service Center can help. Please feel free to contact us for a free no obligation quote for part and labour.